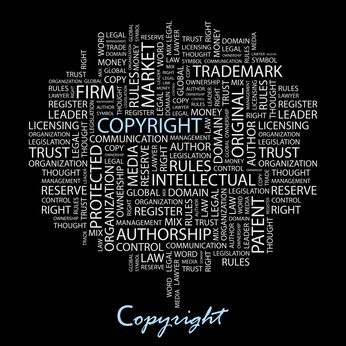 This is the second of a planned three-part series on the basics of copyright in blogging. Disclaimer: I am not an attorney, and this post should not in any way be construed as legal advice. I have done my best to educate myself in an informal way on the issue of copyright, and share what I have learned with that understanding. For part one of the series, using images on your blog, please go to this link. Today we’re going to consider a few things to keep in mind when quoting others’ content. First of all, and it may seem obvious but that doesn’t always seem to be the case, plagiarism is plagiarism whether it occurs on an actual printed page or on a blog, tumblr, twitter or other cyber equivalent of the printed page. Plagiarism, as defined by dictionary.com is “the unauthorized use or close imitation of the language and thoughts of another author and the representation of them as one’s own original work, as by not crediting the author”. http://dictionary.reference.com/browse/plagiarism Copyright infringement is close kin to plagiarism. Both have important legal overtones that bloggers need to be aware of. As with images, it is of key importance to credit your source for any quote, and to try to find the original source, rather than citing a compendium of quotations. In fact, this may lead you to serendipitous discoveries. A quest through google to find an original quotation that I’d previously heard only paraphrased led me to a wonderful interview of Katharine Anne Porter – see the quotation, with a link to the full interview, in the footer of my blog. Just as it is inappropriate to post quotes from books or magazines and pass them off as your own (or even if not consciously being that blatant, not crediting the original author properly) it is also inappropriate to post others’ blog content without citing the source. In my opinion it is far better to either quote a snippet and link to the original blog, or to simply direct your readers to the blog to read the post in its entirety. Note: when reviewing a book, it is considered “fair use” to quote a brief excerpt of the book’s text in the context of the review. However, this does not give one license to quote large chunks of text, nor to scan or otherwise transmit the book in its entirety (which I have seen done). Others have visited this subject before me, and I urge you to read what they have to say. This topic is of increasing importance, and it behooves us all as bloggers, writers, and consumers of information, to be aware of copyright law and to adhere to it. Copyright protection is there for a reason. Jason Keath has written an excellent summary of copyright law as it applies to blogs on Social Fresh. Last week I pointed you to the Electronic Frontier Foundation, and I am repeating that reference today. NOLO has a helpful post about “fair use”. Chilling Effect has posted an extensive FAQ (Frequently Asked Questions) about copyright and fair use. Next week, in the final post in this series, I’ll be talking about posting one’s own content on one’s blog. Yes, there are copyright considerations in that area, too. This is all very important and useful information. I’m guessing that in most cases, people don’t intend to be misusing things, they just don’t know exactly what constitutes misuse. I know I always intend to share the word about someone’s great work, certainly not plagiarize! but I’m sure I’ve done something wrong somewhere, especially with the images. There’s so much to keep in mind, and with images, they’re so easily available on the internet that people simply don’t think. I’m sure we’ve all done something a little off the mark, totally unintentionally, at one time or another. It seems that people feel comfortable with using google images to enhance their blog posts and while most try to give a link with proper credit, still, not all do. My humble opinion is that just as we wouldn’t want others to repost our blog content without our permissions, I think the same rule holds true for photos from google images. Thanks so much for the Kreativ Blogger Award, that’s so sweet, but since I’ve had an embarrassingly rich week of blog awards, I think it would be best if you gave it to someone else. There are so many worthy blogs out there! Thanks so much for understanding, Christy! Thanks for this helpful advice, Beth! I plan to work on my blog this year, so your post is timely. Thanks, Jarm. I’m glad you found it useful. Hope you’ll also take a look at last Monday’s post about copyright and images. Super helpful, Beth. I am with Susanna, I think it is often ignorance rather than intent, when people misuse things. i does behove us, though, to research as you have done here, to be properly informed. Thank you for the time you have put in to presenting us with this important information. Excellent series indeed! Thank you, Joanna. After an early experience (at the age of fifteen) of someone using a text of mine after they’d made a change to a key line without consulting me, I’ve been keenly interested and alert about copyright issues. Great series Beth. I know there are tons of sites with free use photos, but I’m trying to stick with my own. One less step to worry about. However, I know that one day I’ll have to stretch out of my comfort zone to get a better image. Thanks, Stacy! It’s such an important topic, and one I’ve been keenly interested in for years. I’m glad you’re finding the series helpful. I love your timely and helpful posts. As a fairly new blogger, this type of information is very helpful. Thanks, Kirsten! I’m glad the posts are of help to you. Excellent information! In my previous program, I was really shocked how some students seemed to think that copy&paste was an acceptable way of writing a paper. The internet makes plagiarism so easy. Thanks, LittleMiao. You’re certainly right about the internet having contributed to the casualness with which people access and use others’ content. Here’s hoping that people will start to see the light.